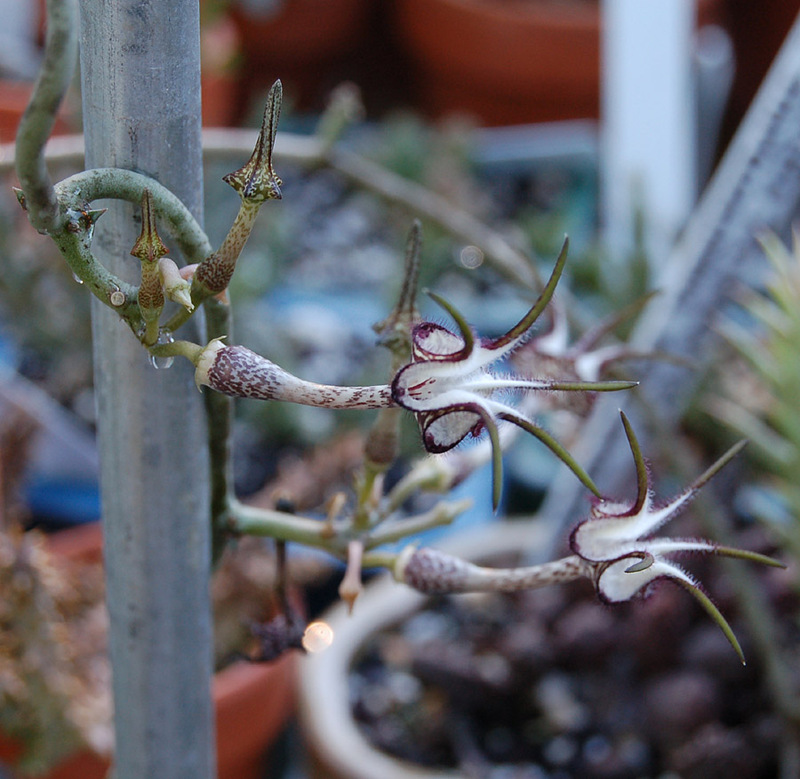 Several years ago a bought a rooted cutting of this Ceropegia from Shoal Creek Succulents. It flowered right away on that small piece ( very pretty) and then it struggled through several seasons to produce any good growth. I don't consider this plant an easy grower at all. If one waters too sparingly, the brown sticks shrivel. A tiny bit more water results in rot despite having the plant in very well draining soil and growing it in full sun. Last Winter I treated the small pot with Bayers Advanced Rose and Flower Care. ( containing Imidacloprid/insecticide, fertilizer and also a Fungicide) That seemed to have done the trick! The pencil- like growth finally took off and grew over a meter long and started to climb up on other long "pencils" and racks. This Summer it is flowering continuously on several of these climbing tips. I still have to watch very carefully how much water this plant receives and pay attention to the amount of systemic remaining over time - I lost a small piece the other day again due to rot. A next treatment followed. Surely other people have better methods for growing this fine plant? In the meanwhile, I think the flowers are most interesting and worth the trouble. 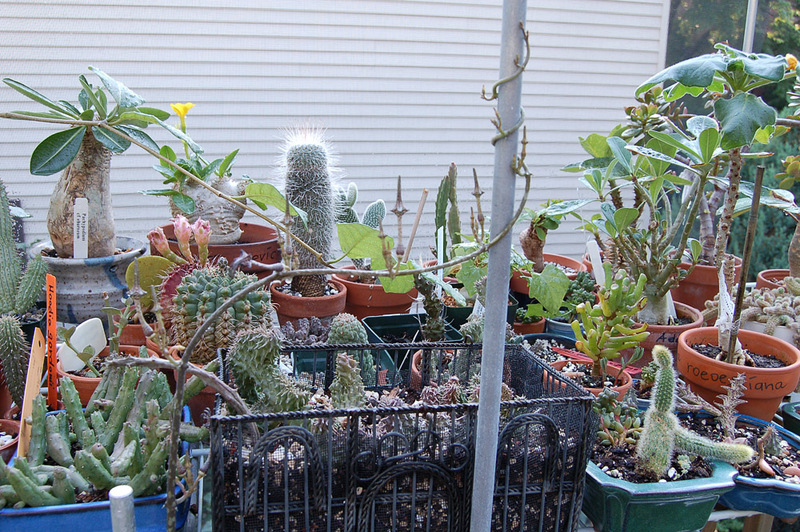 See below one of the sections winding around a bar and flowering happily. 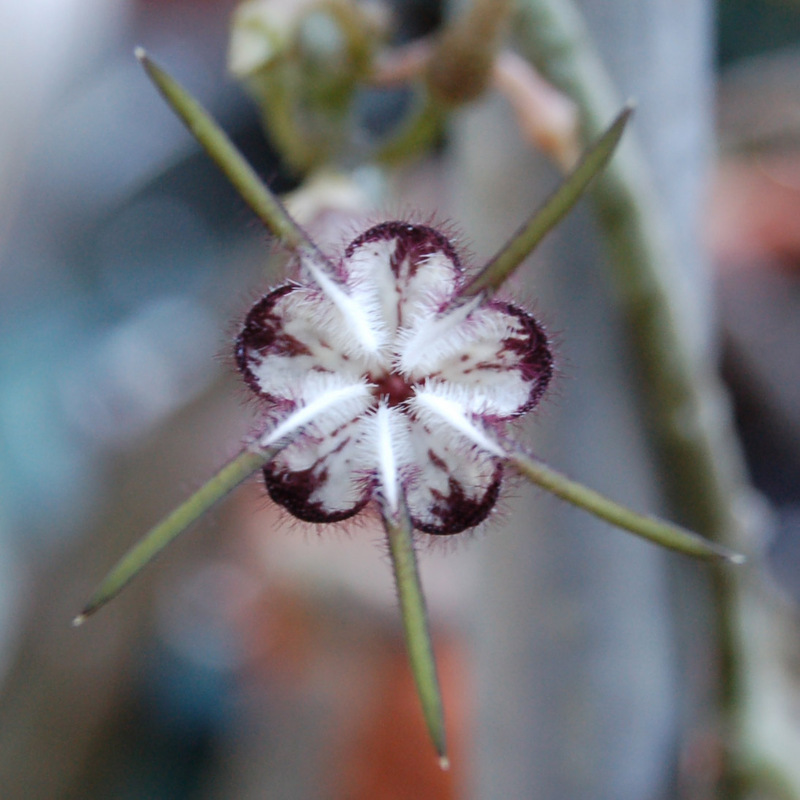 This is a look straight from the top down, showing the beautiful five-fold symmetry of the flower.